1856 – The Parker House Hotel (now the Omni Parker House Hotel), claims to have served Boston cream pies since their opening in 1856. 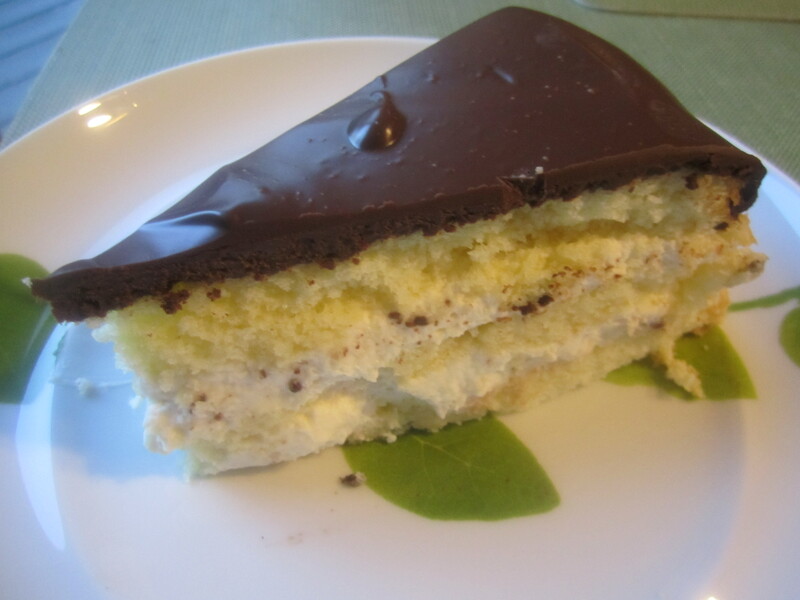 French chef Sanzian, who was hired for the opening of the hotel, is credited with creating Boston cream pie. This cake was originally served at the hotel with the names Chocolate Cream Pie or Parker House Chocolate Cream Pie. This was the first hotel in Boston to have hot-and-cold running water, and the first to have an elevator. 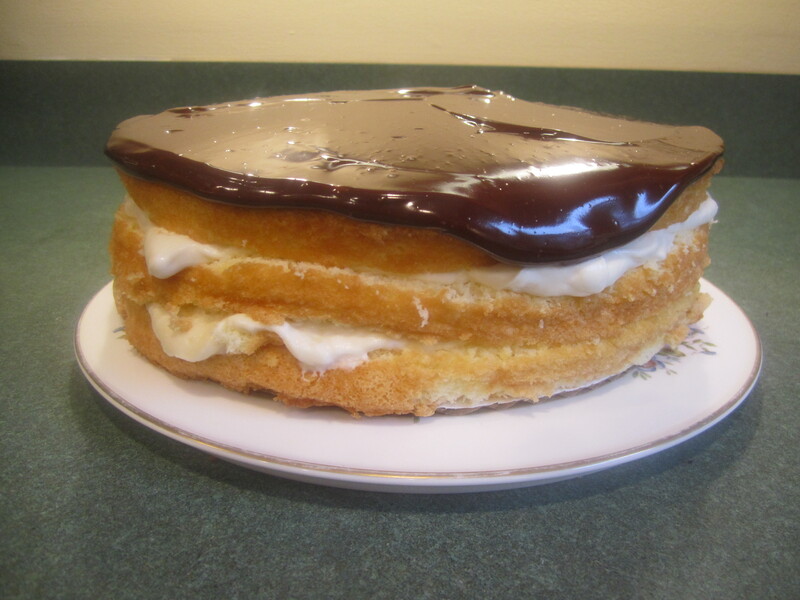 1879 – In the cookbook, Housekeeping in Old Virginia by Marion Cabell Tyree” …..published the first recipe for Boston Cream Cakes. 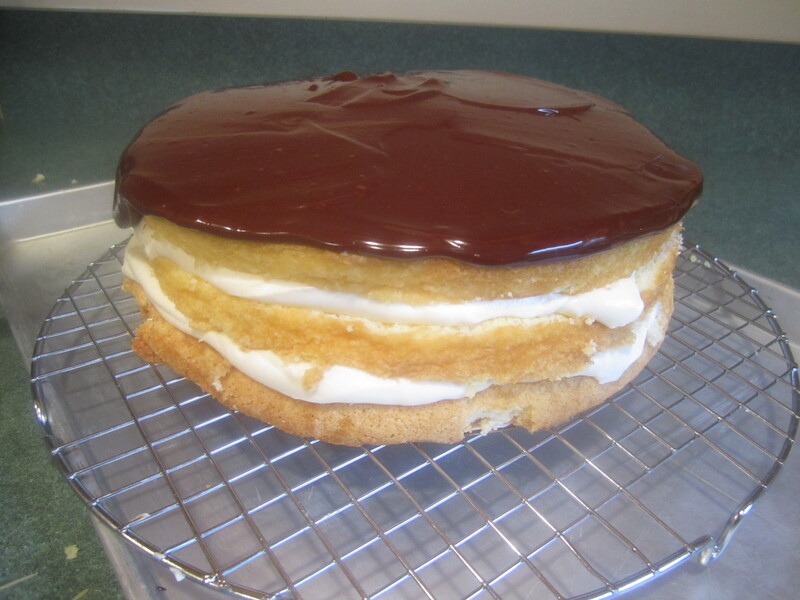 When I was very young, my Mom was renowned for her Boston Cream Pies. She brought them to Church functions, to my father’s customers and made them for us at home. 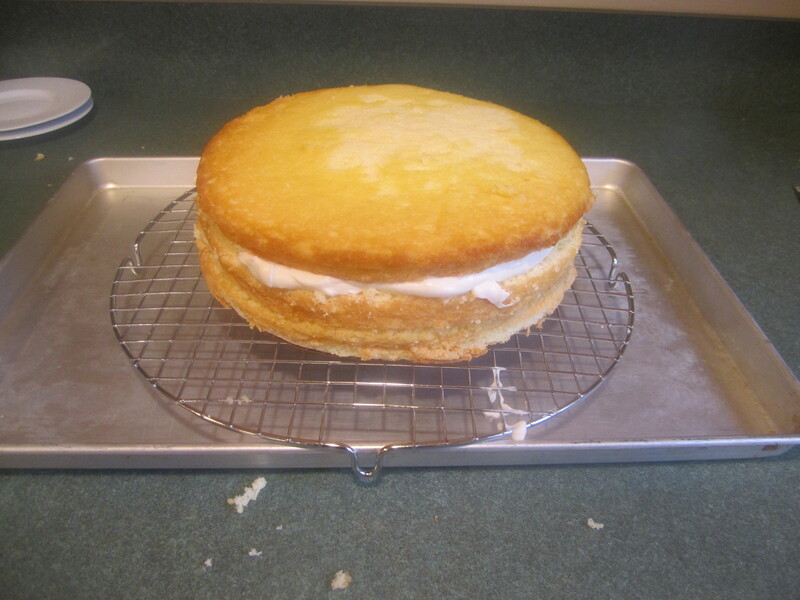 I made one this past year, for the first time, using a yellow cake recipe. It was very good but not quite like my Mom’s. 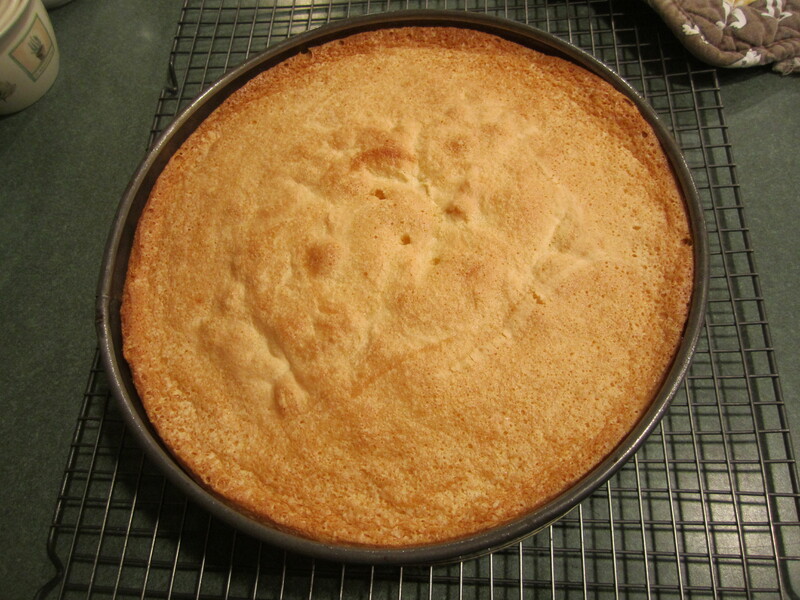 Finally I realized my Mom had made a sponge cake and I was ready to try this dessert again. 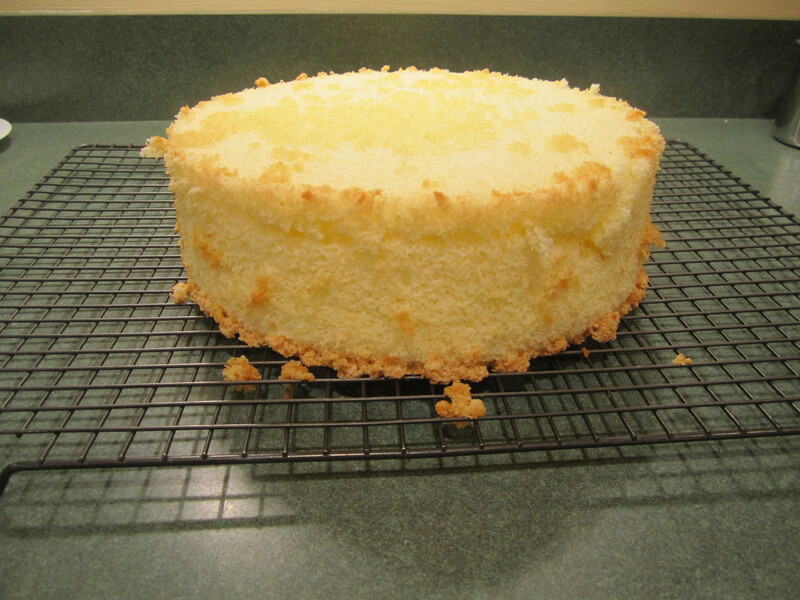 The sponge cake is my Mom’s recipe. I believe she used this particular recipe for one of the layers of the Wedding Cakes that she used to make (amazing in itself). The vanilla pastry cream is from Cuisine at Home magazine, with added whipped cream. 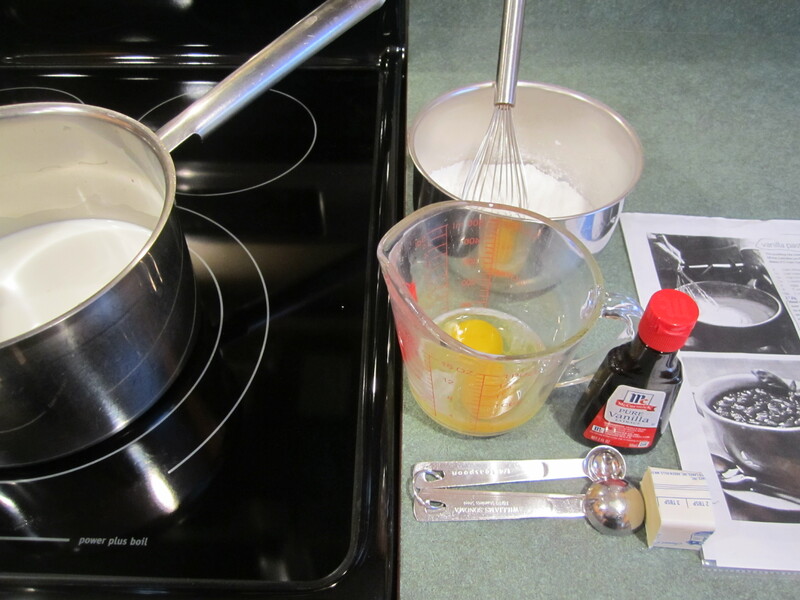 Most vanilla pastry cream recipes call for only egg yolks. I liked this recipe not only because it’s delicious but you don’t have to deal with egg whites and what to do with them. And finally the ganache or chocolate glaze is from Martha Stewart Living magazine, proportionality reduced for this particular cake size. It may seem like an overwhelming recipe but each part is not too difficult to make. To spread the process over 2 days, the cake and vanilla pastry cream can be made the day before serving and the cake the day of. And each part is a recipe in itself to be used for other desserts: plain Sponge Cake served with fresh berries and whipped cream, Vanilla Pastry Cream for Cream Puffs, Chocolate Ganache over ice cream. The list goes on. Remember to have fun and be prepared to wow your family and friends! 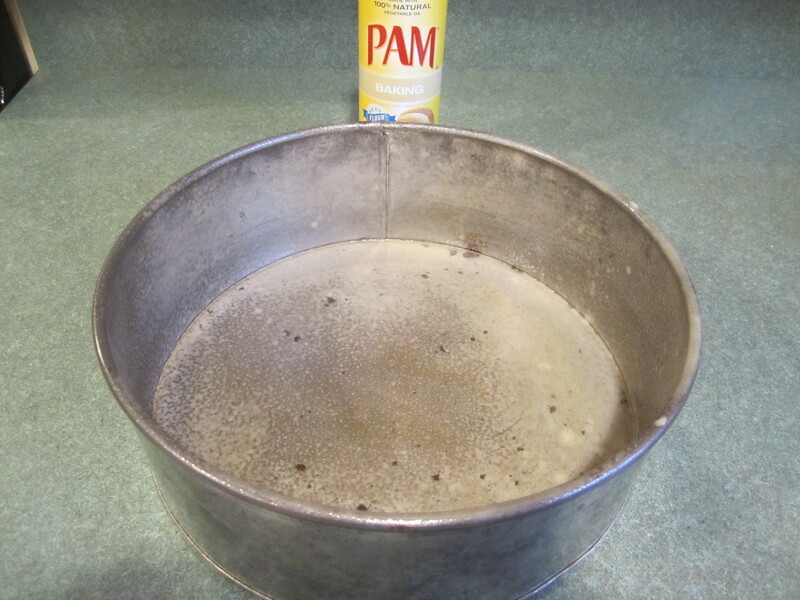 Have a 10 inch by 3 inch deep pan ready and prepare one of two ways: Grease the cake pan with Pam baking spray or leave the pan free of anything. If you grease the pan, the cake will sink a little and it won’t be as tall, though you will be assured it will come out of the pan. 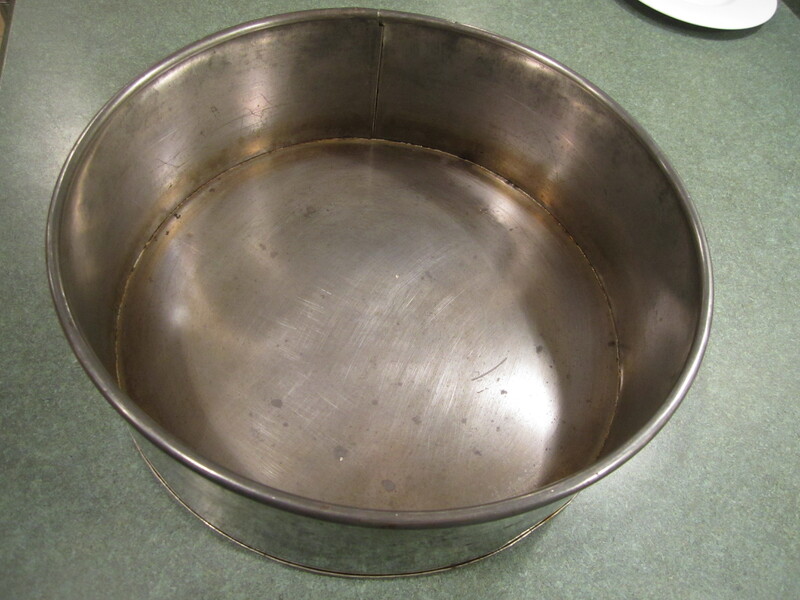 If you do nothing to the pan, you will have to cool it by hanging the pan upside down (pictures below to explain) and the cake will be taller. Either way the cake will be delicious. 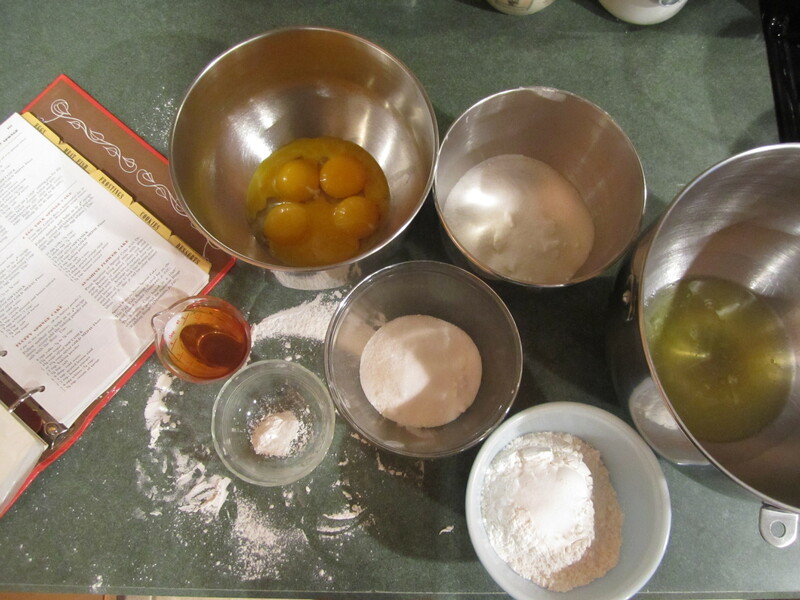 Separate the eggs, putting the egg whites in the bowl of your mixer and the yolks in a medium size bowl. 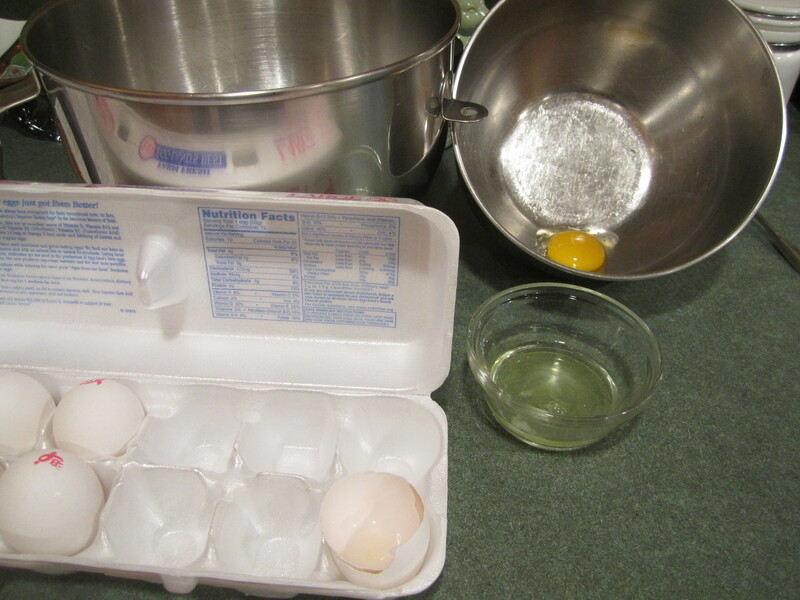 Separate one egg at a time so that you will not get any yolk into the egg whites. Measure out the sugar and set aside. 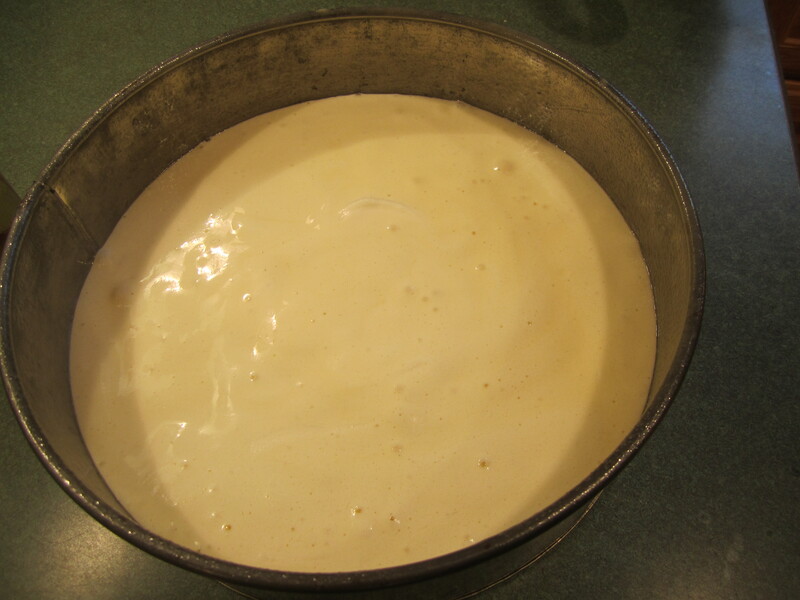 Sift the cake flour and then measure into a medium bowl. 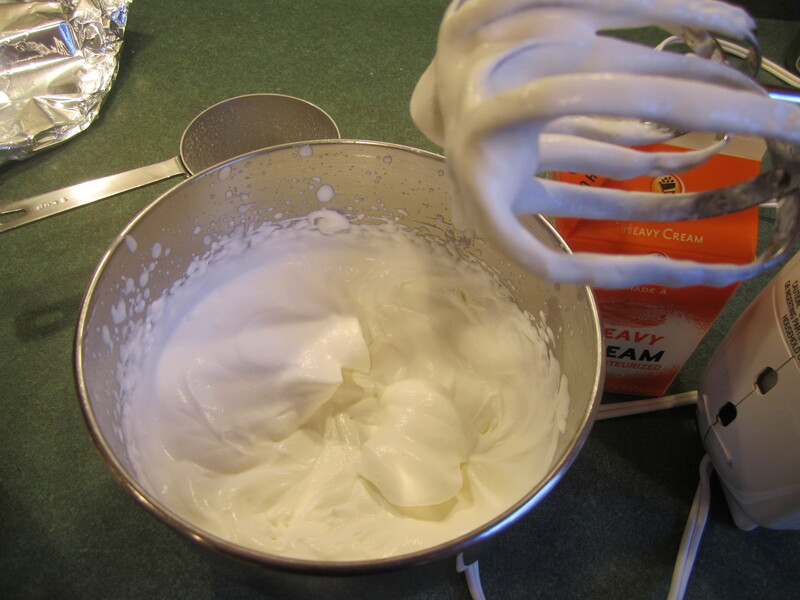 Add baking powder and salt and whisk to combine. Measure out the cream of tartar and set aside. Combine the water and vanilla. Beat the egg yolks for 5 minutes until very thick. Gradually add the sugar until combined. Add the flour mixture alternately with the water mixture, starting with the flour mixture and ending with the water mixture. 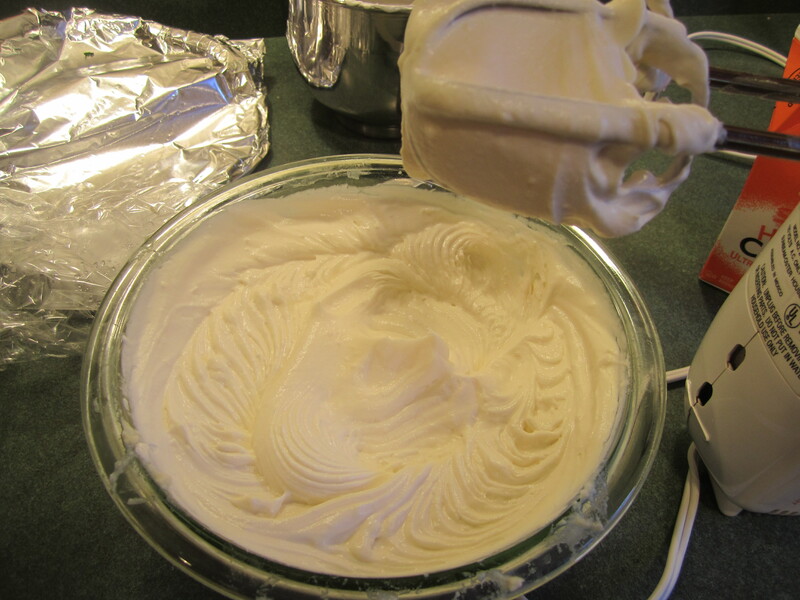 Beat the egg whites with the cream of tartar in bowl of your mixer with the whisk attachment, until stiff. 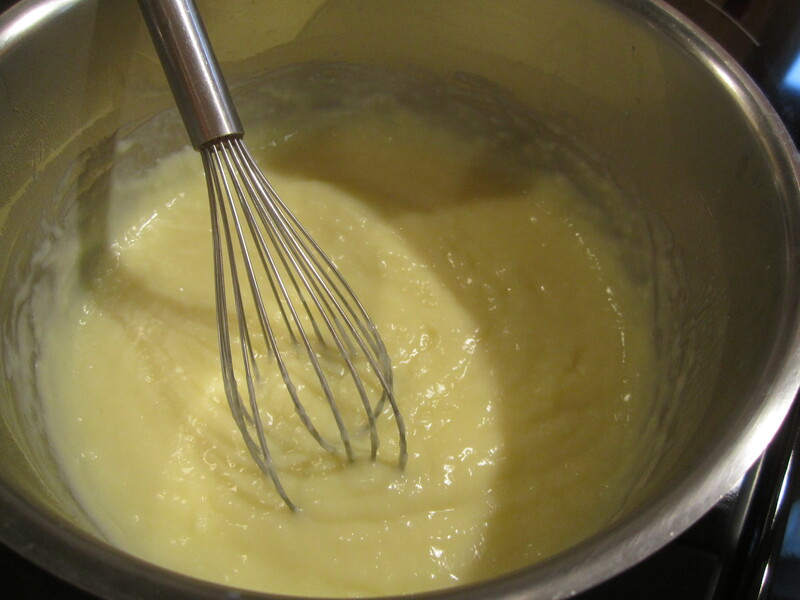 Put 2 spoonfuls of eggs whites into your egg yolk mixture and fold until almost combined. 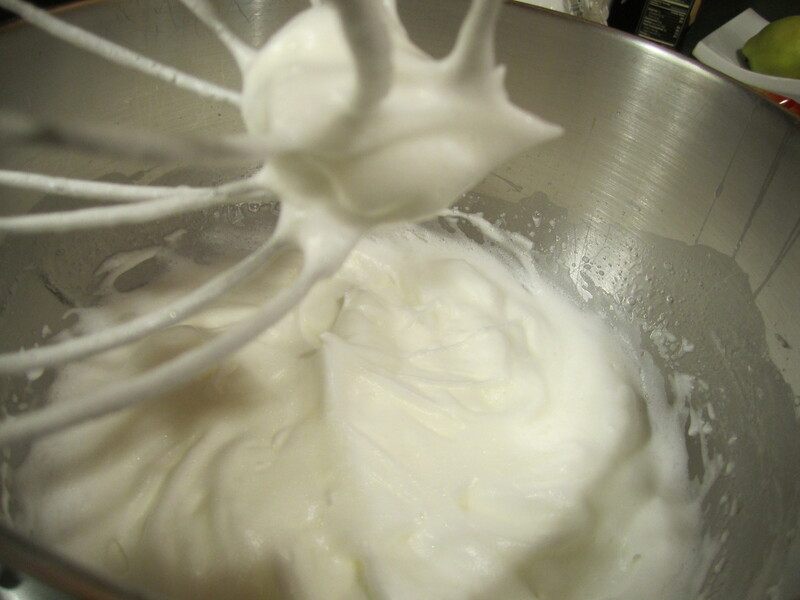 Then add this mixture into your egg whites and fold until combined. Remove cake from oven. 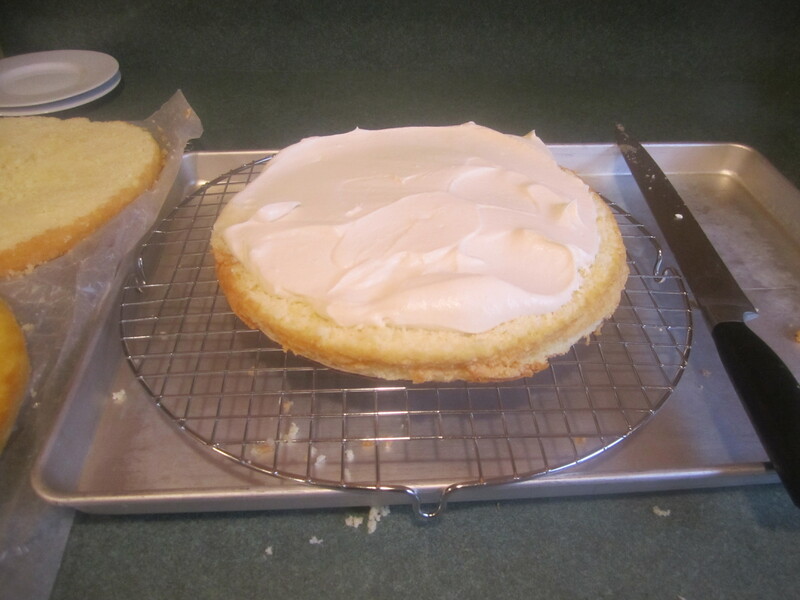 If you have used the Pam Baking spray, let the cake cool for 10 minutes on a cake rack , loosen cake around edges with a sharp knife and turn cake onto cake rack. Let cool completely. 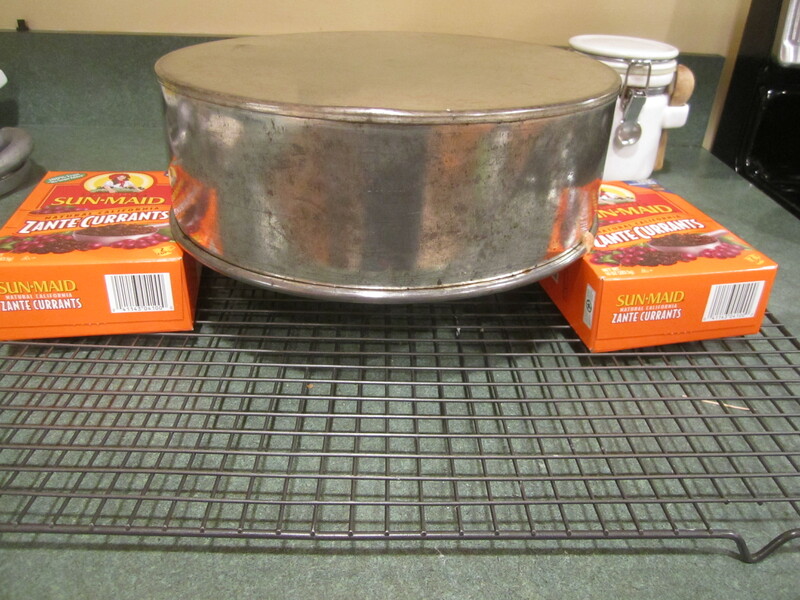 If you have done nothing to the pan, turn cake upside down over a cake rack, hanging it from 2 shallow boxes. Cool completely. 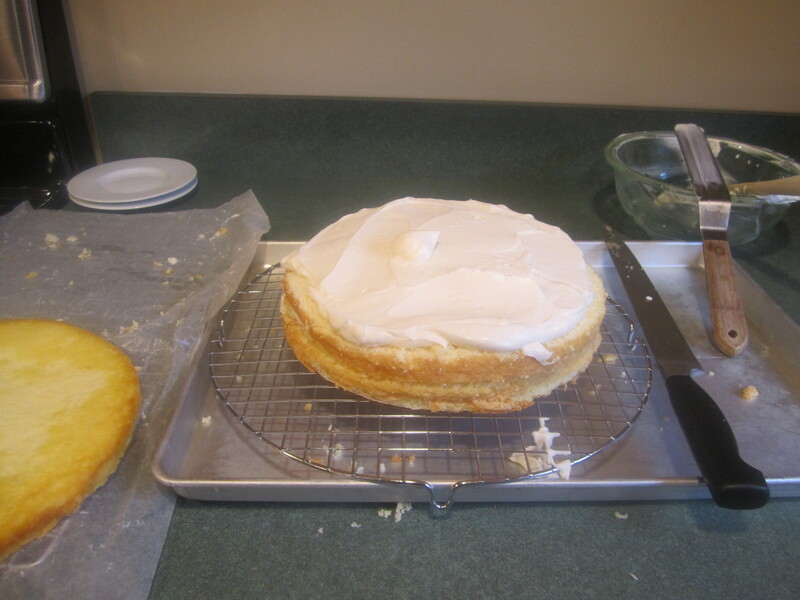 Turn cake over, loosening around the edge with a sharp knife. Turn the cake over and give it a hard rap onto the cake rack. It should come out. If not, do the procedure again and give it another hard rap onto the cake rack. 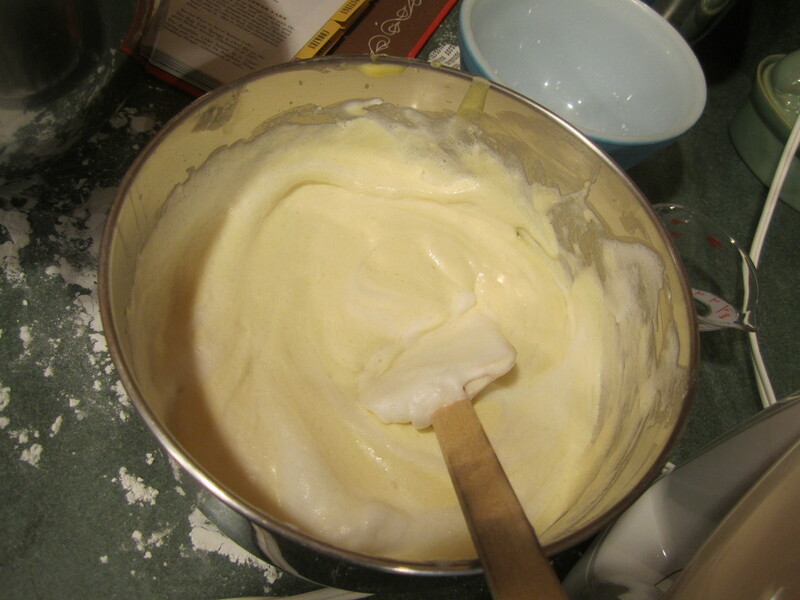 Place sugar, cornstarch and salt in a medium bowl. Whisk together. 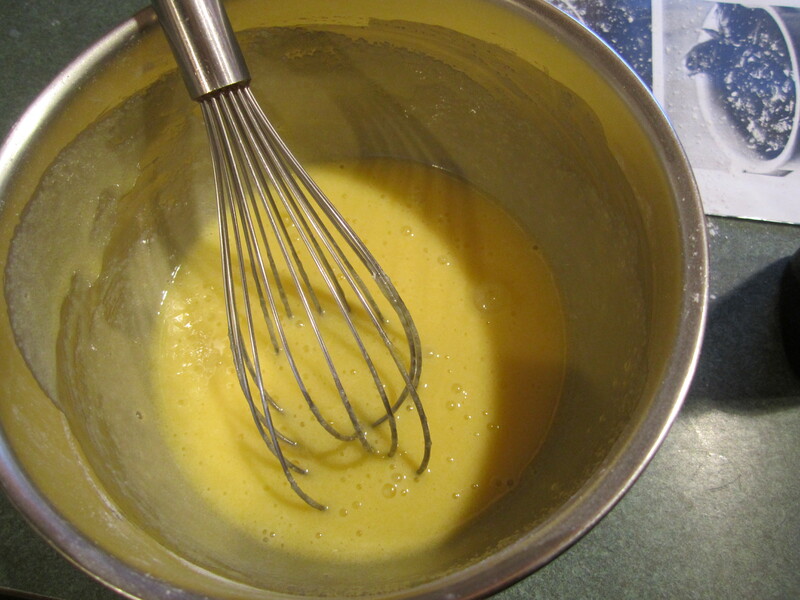 Add eggs and whisk together until smooth. 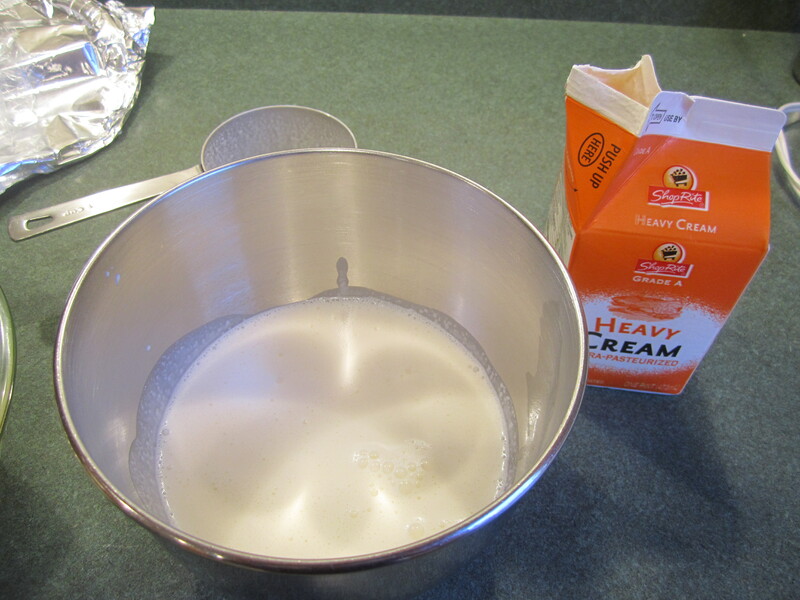 Place milk into a medium saucepan over medium heat and heat until it begins to steam and bubbles form around the edge. 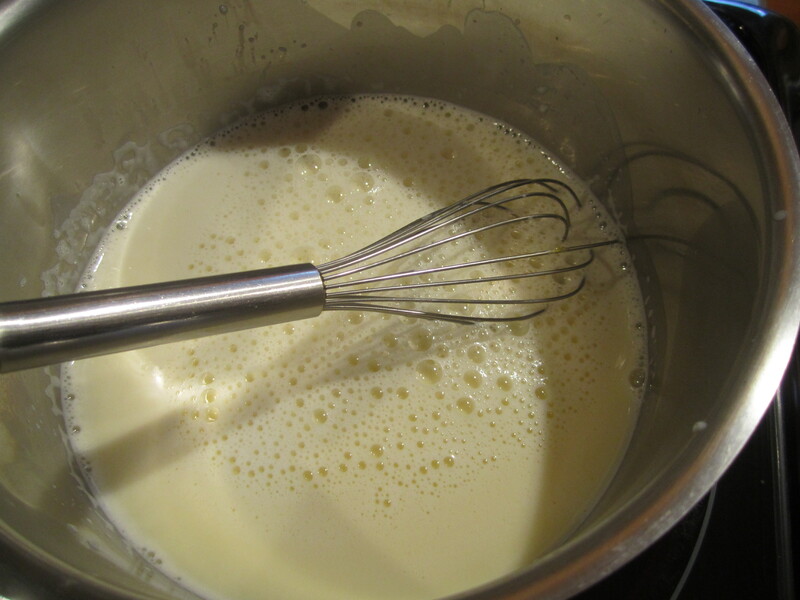 Pour 1/2 the hot milk into the egg mixture and whisk together. 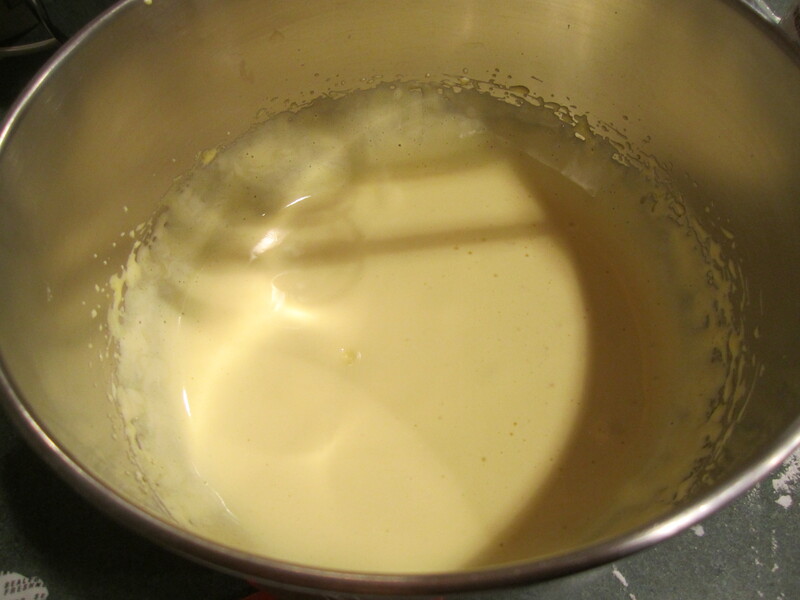 Then pour the egg/milk mixture into the remaining milk in the saucepan and return pan to burner. 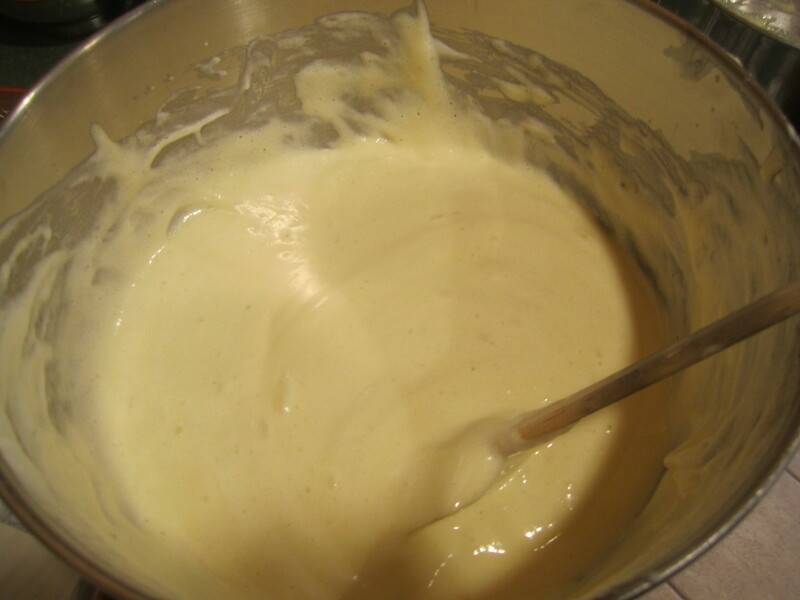 Cook custard over medium or medium/low heat, whisking often, until thick. Boil for 1 minute, whisking constantly. Remove from heat. 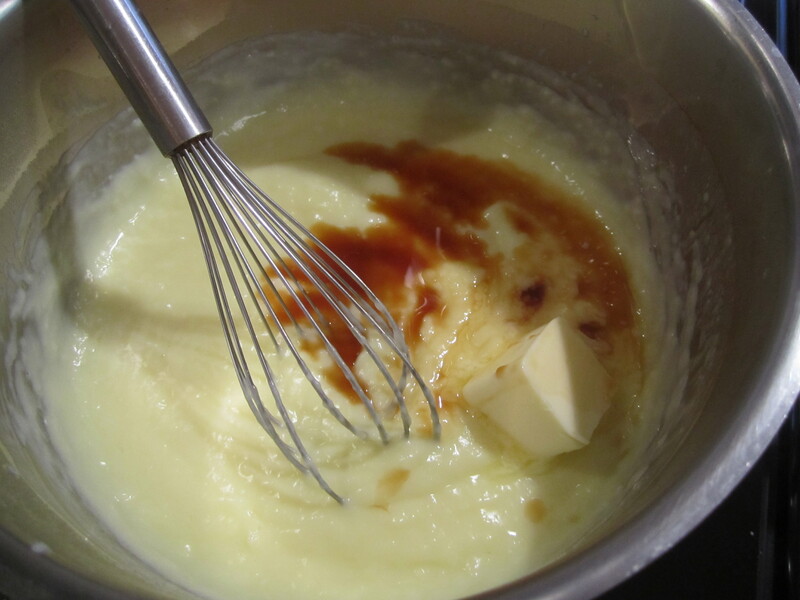 Add butter and vanilla and whisk until thoroughly combine, making sure the butter has melted into the custard. 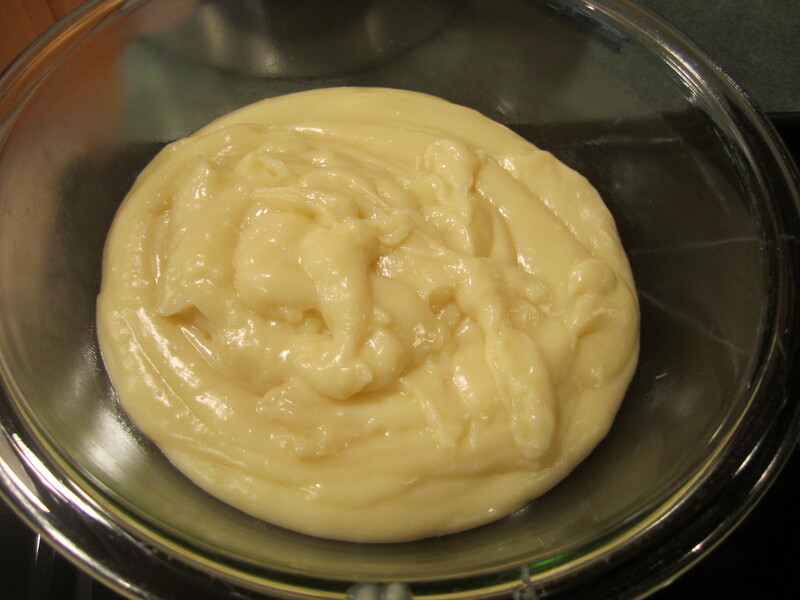 Transfer custard to a medium glass bowl, cover with plastic, pressing it onto the surface of the custard to prevent a skin from forming. Chill. 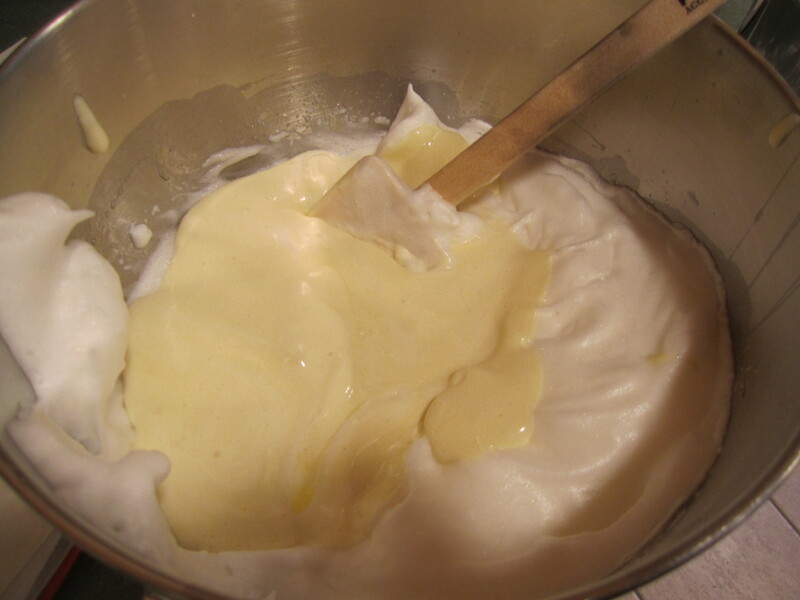 Remove custard from refrigerator. 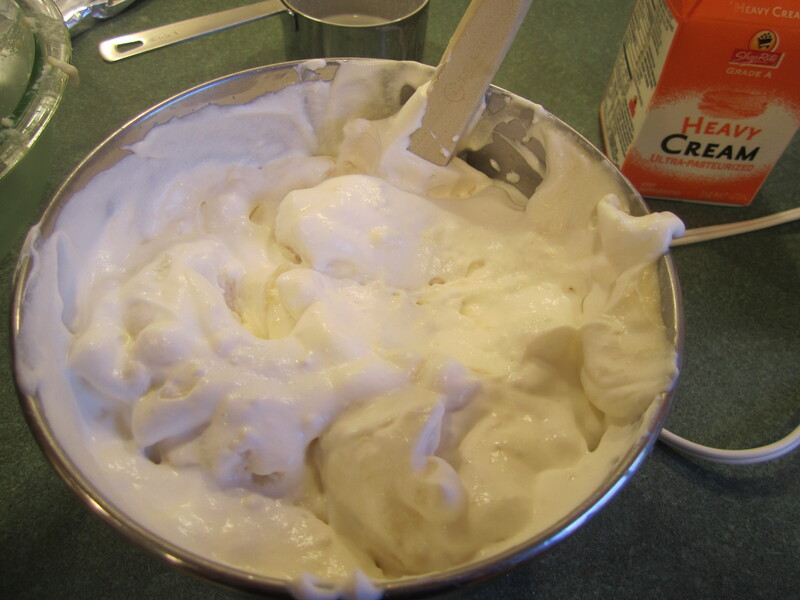 Place heavy cream into a medium bowl, beat with a hand mixer until soft peaks form , add to the vanilla pastry cream and stir together. 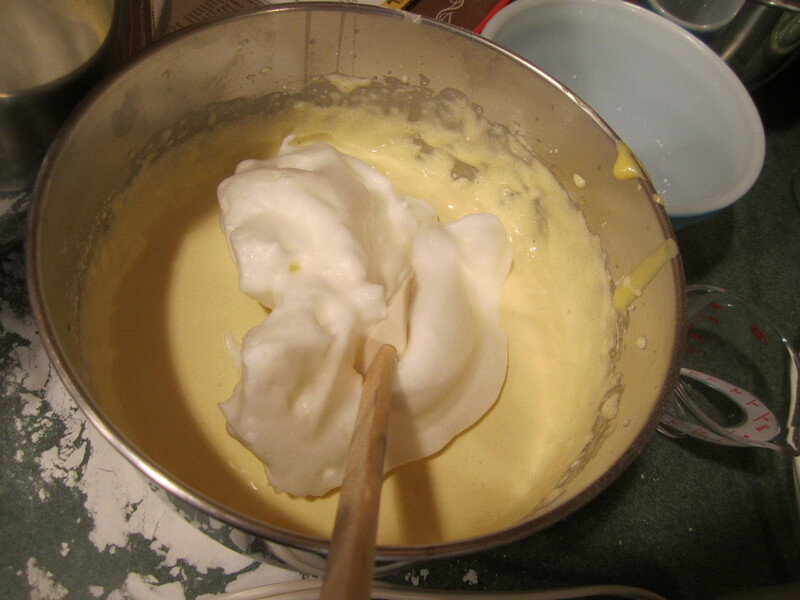 Take hand mixer and beat together on low until thoroughly combined and smooth. 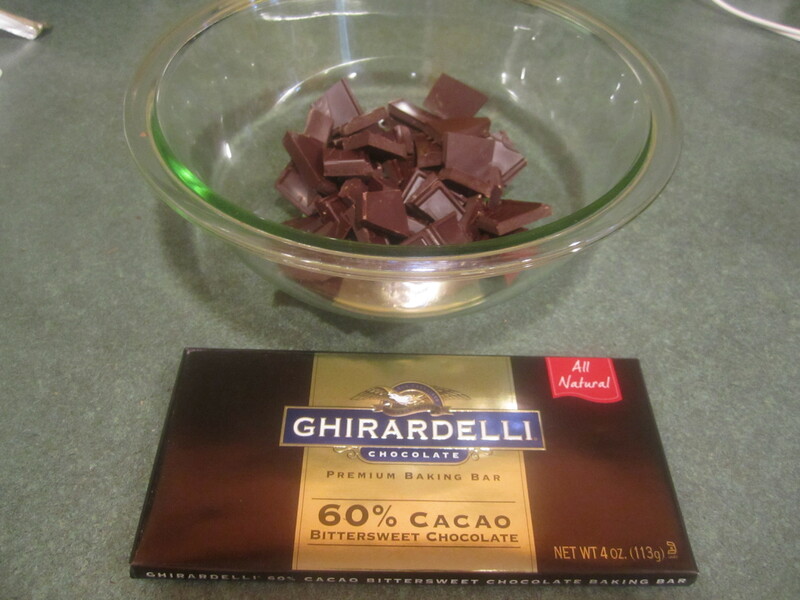 Break up chocolate into small pieces into a medium glass bowl. 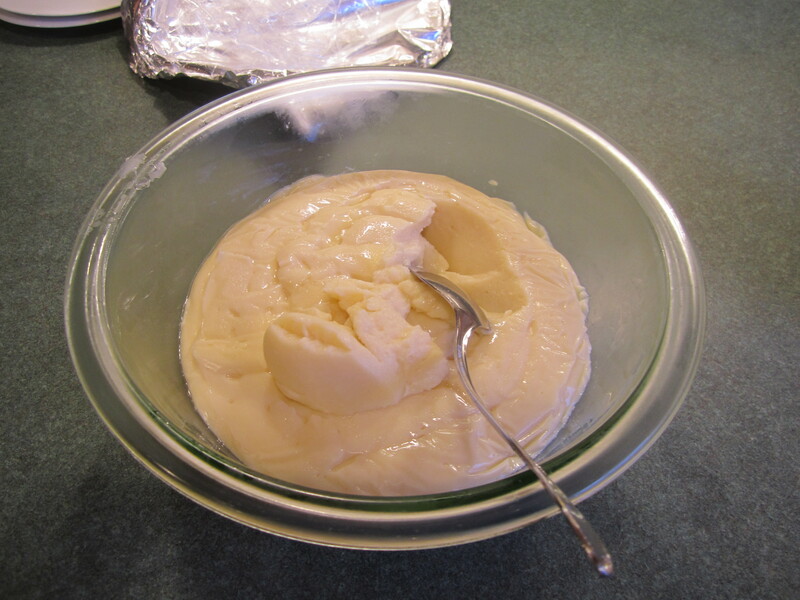 Heat heavy cream in a glass measuring cup in the microwave on high for 1 minute. 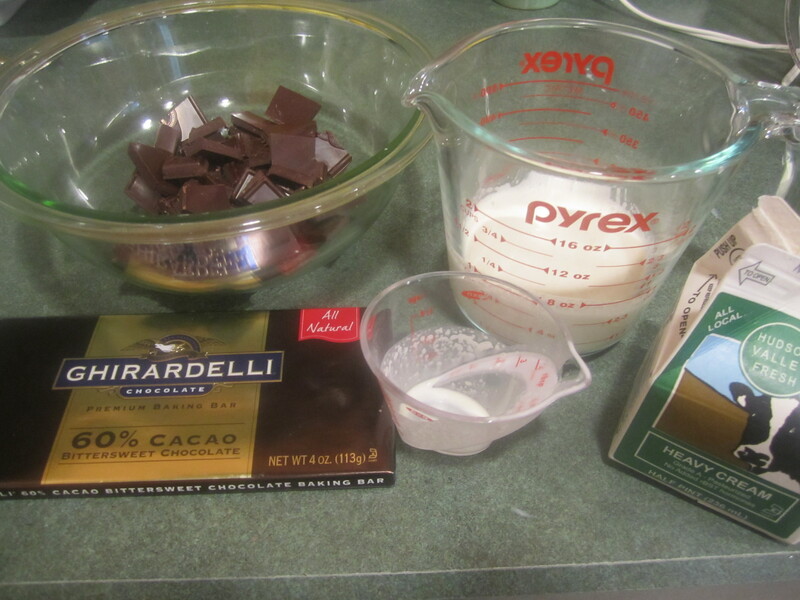 Pour heavy cream over chocolate, making sure the chocolate is totally immersed. Let stand undisturbed for 1 minute. 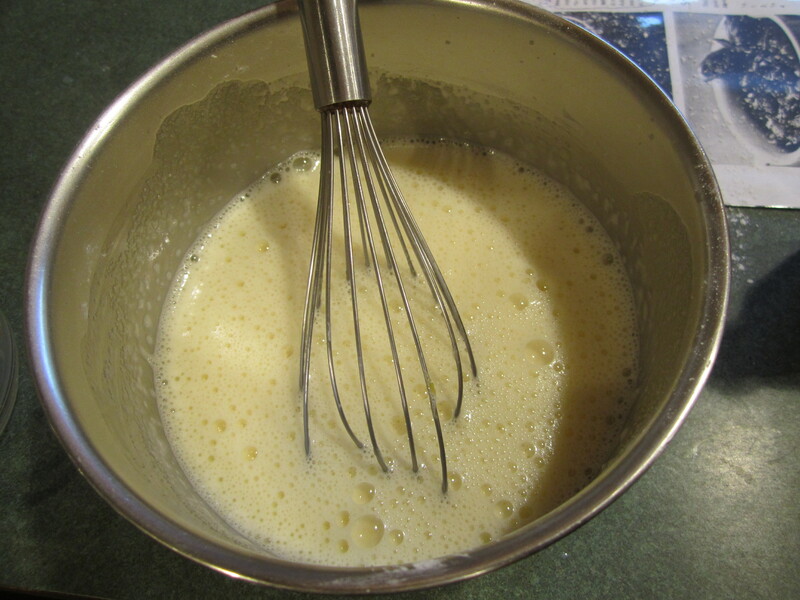 Whisk mixture until smooth. 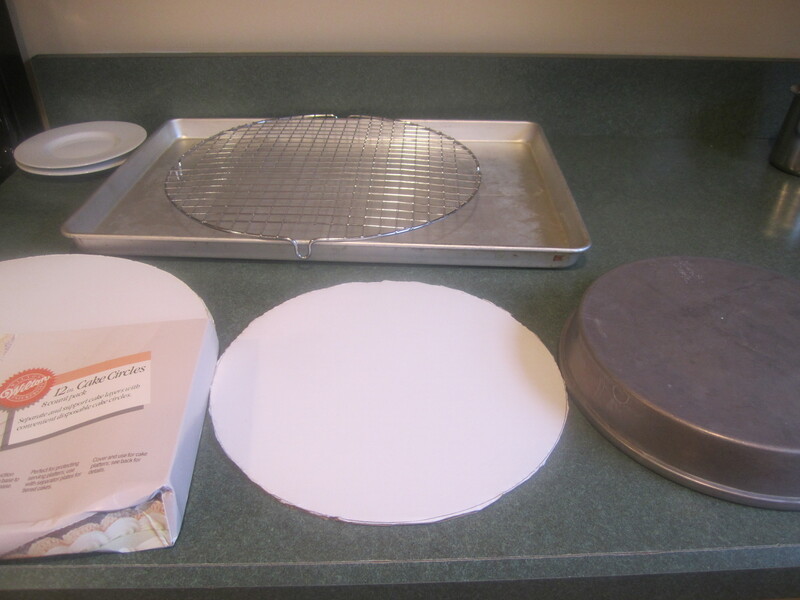 Have ready an 8 inch cardboard circle or 8 inch inverted cake pan. 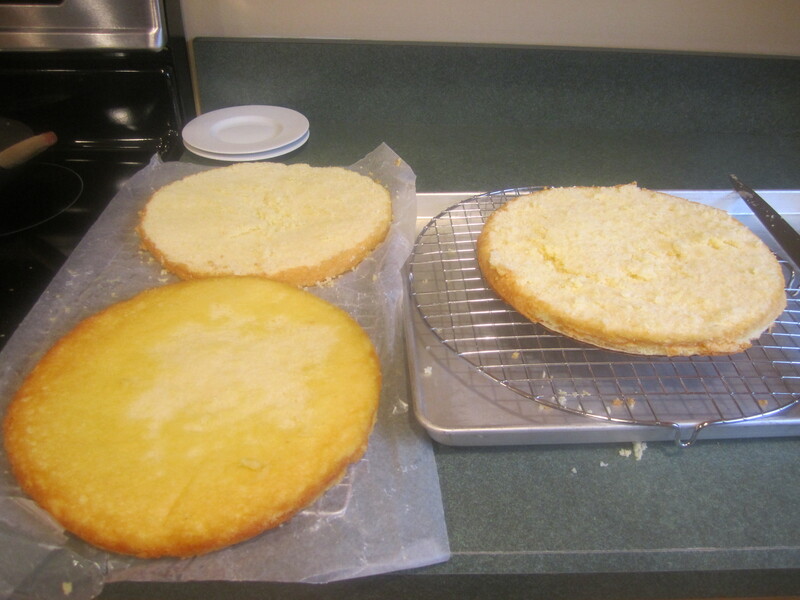 Place cake onto cardboard circle or cake pan, and slice cake horizontally into three layers, placing the 2 top layers onto waxed paper. 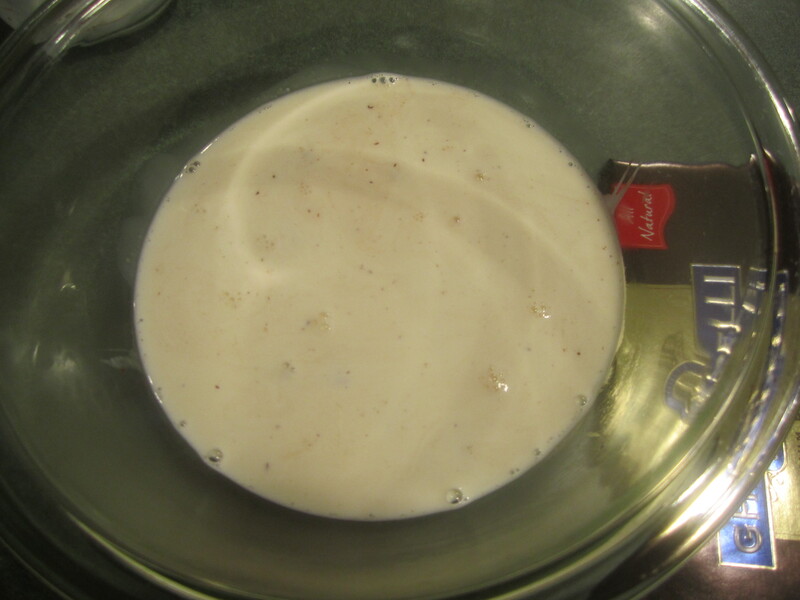 Onto the bottom layer, put 1/2 of the pastry cream and spread almost to the edge. 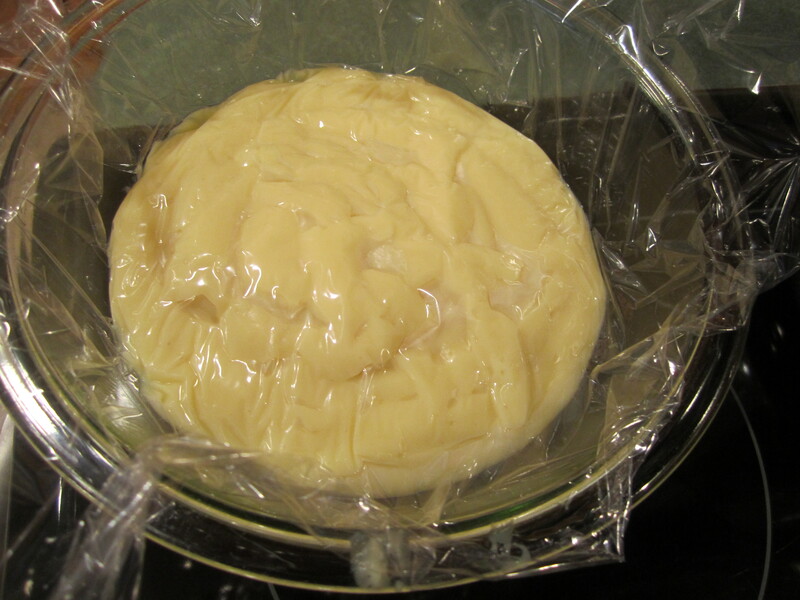 Place the middle layer on top, and put the other half of the pastry cream and spread almost to the edge. Put the top layer on. Make the ganache. 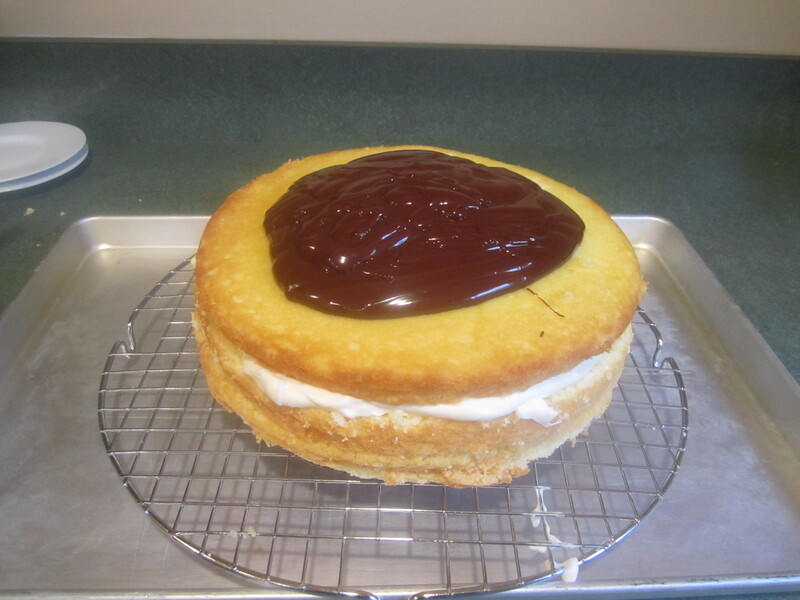 When complete, carefully pour the ganache onto the middle of the top layer of the cake. 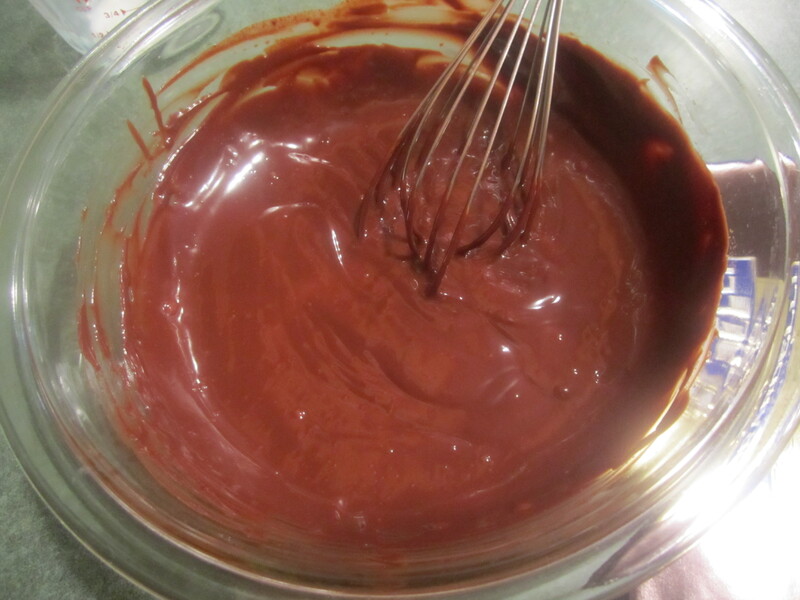 Carefully spread the ganache, with a very large cake spatula, until it just starts to drip over the side. Stop. Cover and refrigerate the cake for at least 2 hours to allow the ganache to set on the cake. 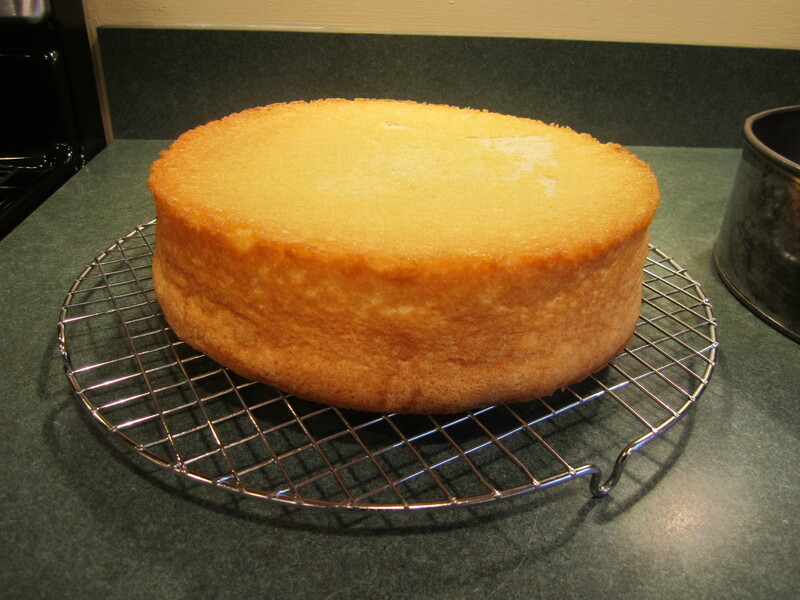 Let the cake sit out at room temperature for 20 – 30 minutes before serving. 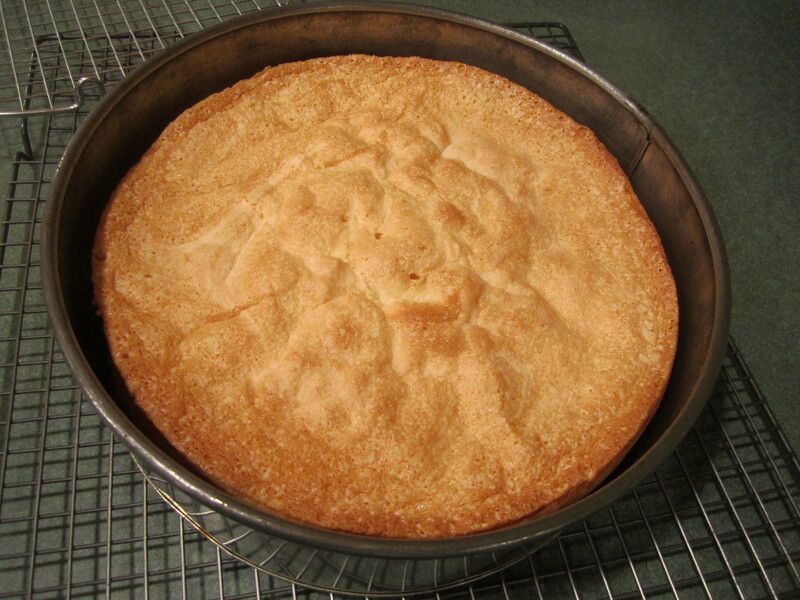 As one of the happy consumers of this wonderful cake (pie), I can attest to its deliciousness – perfect!! Thank you! Wish I had given you some to take home…..